Bring a contemporary look to your kitchen or bathroom cabinetry with the Liberty 3 in. Bronze with Copper Highlights Arched Pull. This pull is constructed from high-quality zinc die-cast base material for durability, and the bronze with copper highlights finish gives this pull a designer look. Mounting hardware included for easy installation. The Liberty 2-3/4 or 3 in. Satin Nickel Dual-Mount Pull adds contemporary style to your kitchen and bathroom cabinetry with clean lines and a beautiful finish. A simple change can make a huge impact on the look of any room. Change out your old cabinet pulls and give any room a brand new feel. 3 in. 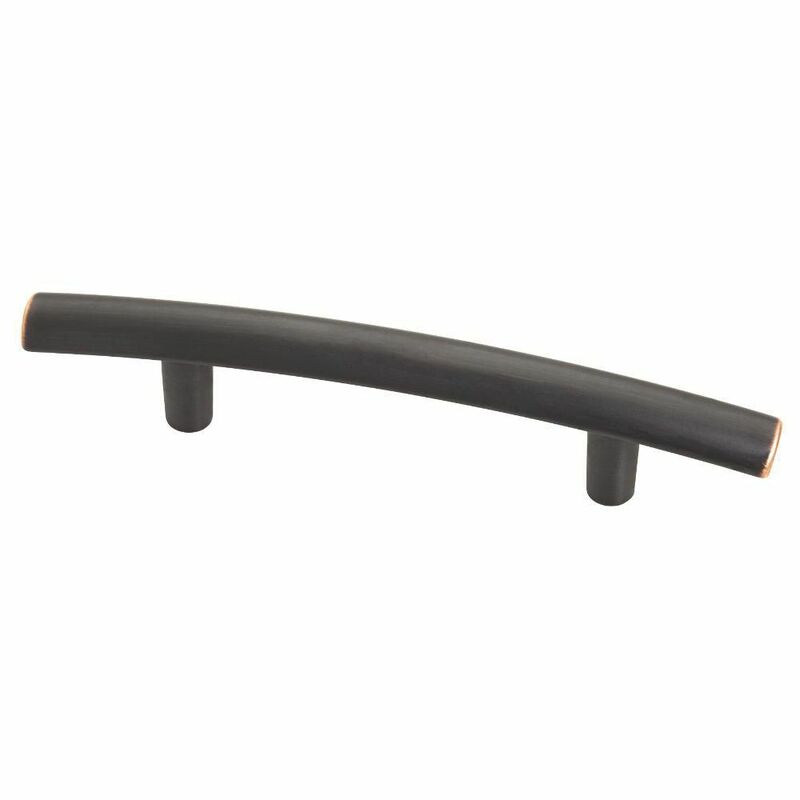 Arched Pull Bring a contemporary look to your kitchen or bathroom cabinetry with the Liberty 3 in. Bronze with Copper Highlights Arched Pull. This pull is constructed from high-quality zinc die-cast base material for durability, and the bronze with copper highlights finish gives this pull a designer look. Mounting hardware included for easy installation. 3 in. Arched Pull is rated 4.8 out of 5 by 37. Rated 5 out of 5 by AmyJ from Great Handle These look amazing. Ordered offline, everything arrived in good condition. I was worried I wouldn't like the little bit of color on the end, but I love these. Highly recommend. Not the cheapest but not the most expensive either. Good quality. Rated 5 out of 5 by David from Looks great in the remodel of our Airstream kitchen.... Looks great in the remodel of our Airstream kitchen. Rated 5 out of 5 by Richard from Nice product!... Nice product! Rated 5 out of 5 by MaryR from These handles are very stylish and bring a modern, unified... These handles are very stylish and bring a modern, unified look to my kitchen. Super easy to install. Rated 5 out of 5 by Scott from looks great and match my new appliance in looks and... looks great and match my new appliance in looks and form. Rated 4 out of 5 by HomeDepotCustomer from they are very delicate looking!... they are very delicate looking!